180 lbs. (82 kgs.) ice storage capacity. Accepts 22" (55.88 cm) or 30" (76.20 cm) wide Manitowoc ice machine. 3-year parts-and-labor coverage on all other ice machine and dispenser components. 5-year parts and 3-year labor coverage on ice machine compressor. 5-year parts and 5-year labor coverage on ice machine evaporator. 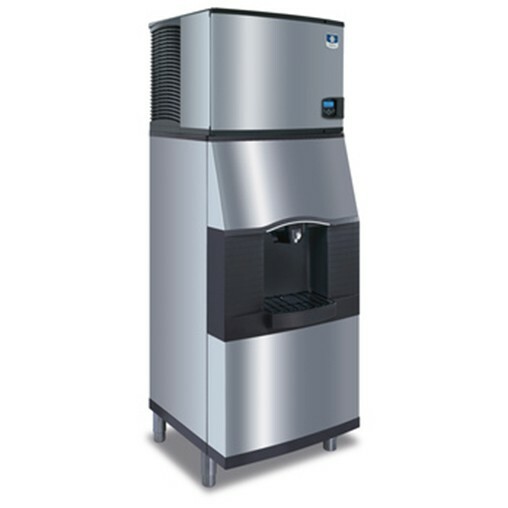 SPA-310America's #1 Hotel and Motel ice dispenser that is also very popular in employee cafeteria applications.W x D x H30" x 32" x 601/2"